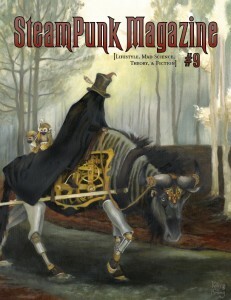 Steampunk Magazine » Issue 9 Now Available For Pre Order! Issue 9 Now Available For Pre Order! 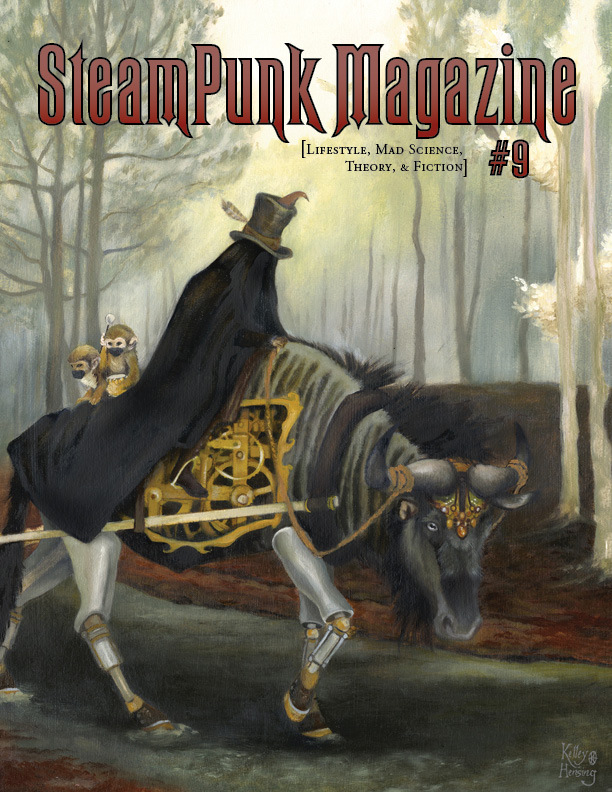 Steampunk Magazine Issue 9 is now available for preorder! This long-awaited issue is our thickest yet, coming in at 118 pages of mad science, history, interviews, fashion, and fiction! This issue covers such subjects as: dieselpunk, anti-fascist fashion, DIY miniature airships, paper dolls, the New Orleans general strike of 1892, loaded dice and swindles, the Red Fork Empire, surrealism, machine intelligence, and post-mortem communications! Any purchase from our site that includes this issue will ship once we have the magazine in our hands, which will be no later than May 20 2013. The magazine will also be made available online at that time. Is it really true that you mail issues no charge to incarcerated Americans…?